Empire cinemas need your help. They are after a new flavour of popcorn. How about salt and vinegar? Cheese and chives? How about beef and onion then! I know, as well as you, loyal readers that this is open to some spectacular trolling of flavours. I would love to see what “troll flavours” come in as I’m sure a psychologist could have a field day with just that information. So get your thinking caps on and head over to the Empire Cinemas Facebook page and give them your suggestion.Popcorn and Cinema have always gone hand in hand. Figures show that UK Cinemagoers are a nation of passionate popcorn lovers! 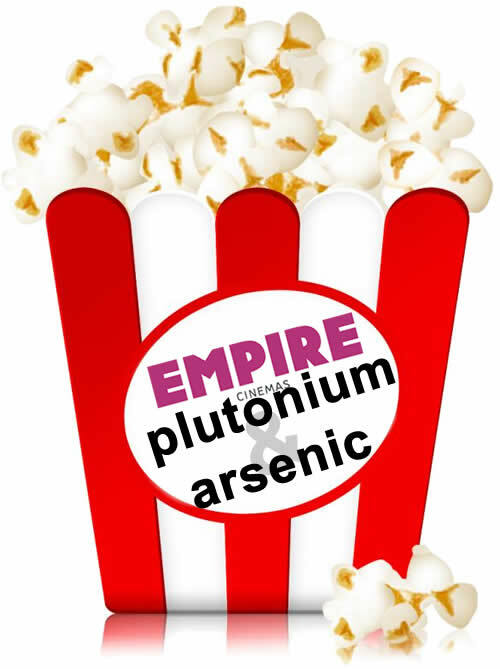 Last year alone Empire Cinemas patrons munched their way through almost 3 billion grams of popcorn. That’s enough popcorn to fill 104,045 Olympic size swimming pools or 148,686 double-decker London buses, which if they were all lined up would stretch for more than 1,000 miles – the distance from Land’s End to John O’Groats or nine times round the M25! I had to double check the facts in the above paragraph from the press release I received. I didn’t believe the fugires were correct. They sounded far too high. With that in mind I hit a couple of search engines and discovered some interesting things. Mostly, the conversions used are… Well, classic comparison units we see around a lot. 93.6 average London Routemaster buses, giving a length of 820.11 meters. I’ve had to assume that the billion is a US one. If I’m wrong then just add 6 zeros to the above. You have until the 13th of March 2014 to submit your flavour. The winning entry will win a year’s supply of popcorn [365 160g tubs] as well as unlimited entry for you, and a friend, to any Empire cinema for a whole year! You can find the whole Terms and Conditions over on their facebook page.